A legendary Cuban creation – with a Diamond Boutique twist! Super sippable and refreshing, this rum cocktail is the ultimate Friday drink. 1. Put the four lime wedges into a glass, then add the sugar and squish everything together to release the lime juice. 2. Drop the mint leaves into your glass and gently push the mint down into the lime juice. 4. Top up with crushed ice, a splash of the soda water and garnish it with a sprig of mint. 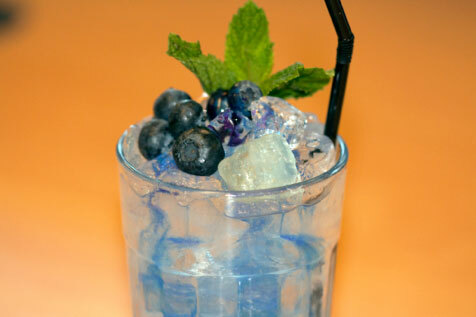 Drizzle this with blue food colouring – and you’ve got your very own Aqua Mojito!